It's the weekend and I survived my first full week back at work of the year and my first full week of half marathon training - what a freaking miracle. Honestly there were moments when I thought I'd fail, most noticeably on Thursday morning when it felt like 3am but was actually bang on 'get out of bed you're late for work' time. What fun! Anywho to celebrate that it's a Saturday (and all I have planned it a swim, a cinema trip and good food - FYI I can't wait!) 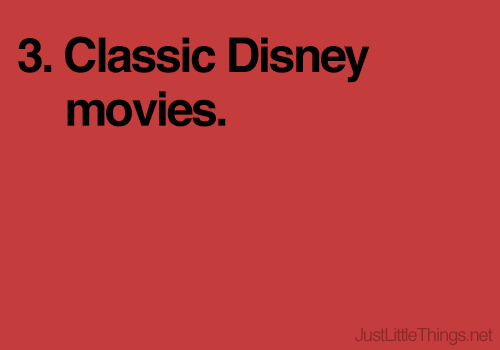 I thought I'd share some of my favourite things with you. It's a total mix of things I've been up to, eating or reading - book and blog wise). Enjoy! And obviously share some of your faves I'm always up for giving new things a go, especially if they're reading or chocolate related...! 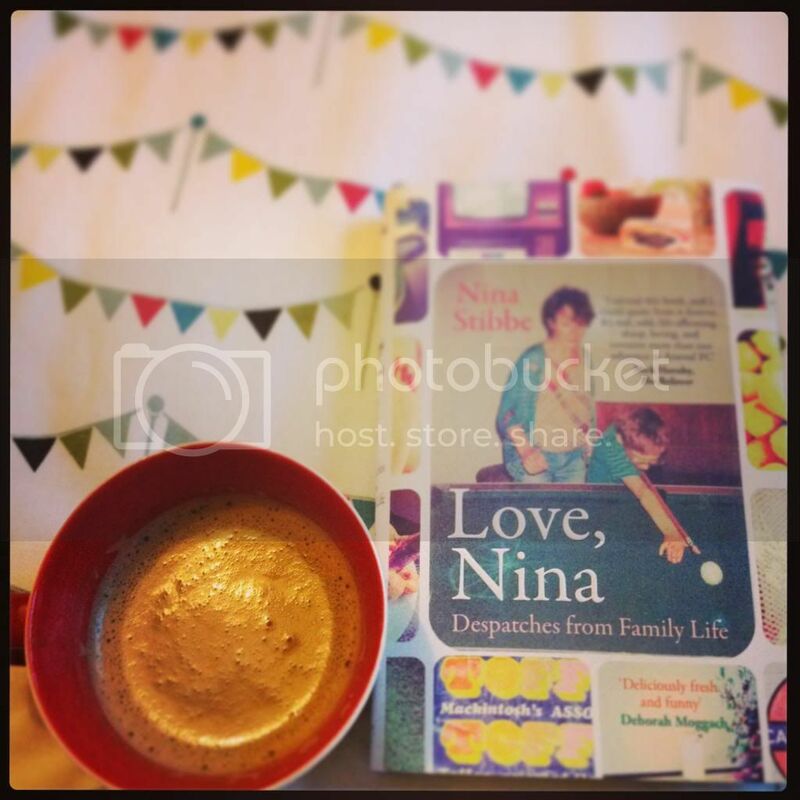 Love, Nina - I'm in the process of reading this book right now and it's so good. I've not stopped laughing since I started it, it really is laugh-out-loud and so insightful too.I feel so drawn to all the characters and love how they describe things. I also love how Nina writes in her letters, she jumps back and forth between topics that are unrelated, which is exactly what I do. It's so brilliant, you must all read it! 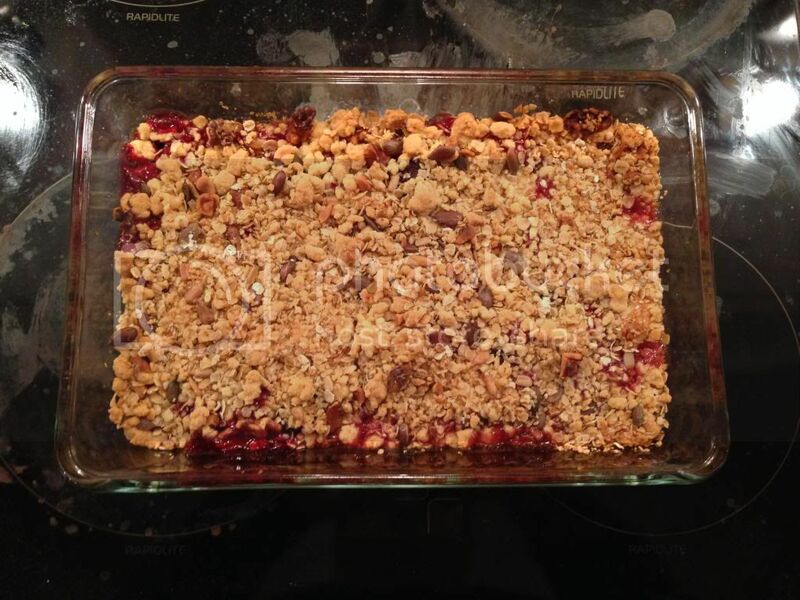 Blackberry and Apple Crumble - I decided that I just HAD to bake a crumble last weekend and it was scrumptious. There's something about the crunchy topping, caramelised pockets, soft flavourful fruit and cold custard that warms my heart and cheers me up. I can guarantee there will be more of these crumbles happening in the very near future! 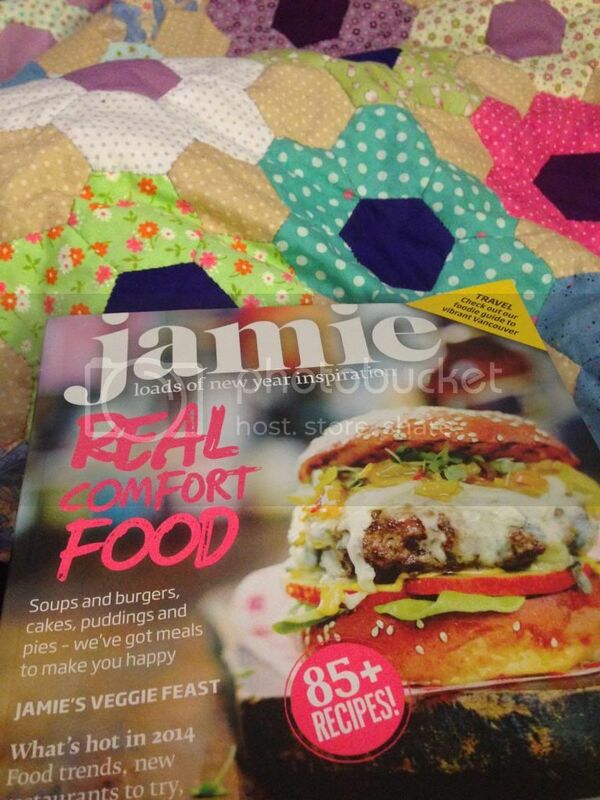 Food magazines - I've subscribed to Jamie Oliver's magazine for a while now and I also read delicious. regularly but this month's issues are perhaps my favourite ones for a while. On pretty much every page of both magazine I discovered a recipe that I just must try. I think I'm going to be a busy bee in the kitchen over the next few weeks! 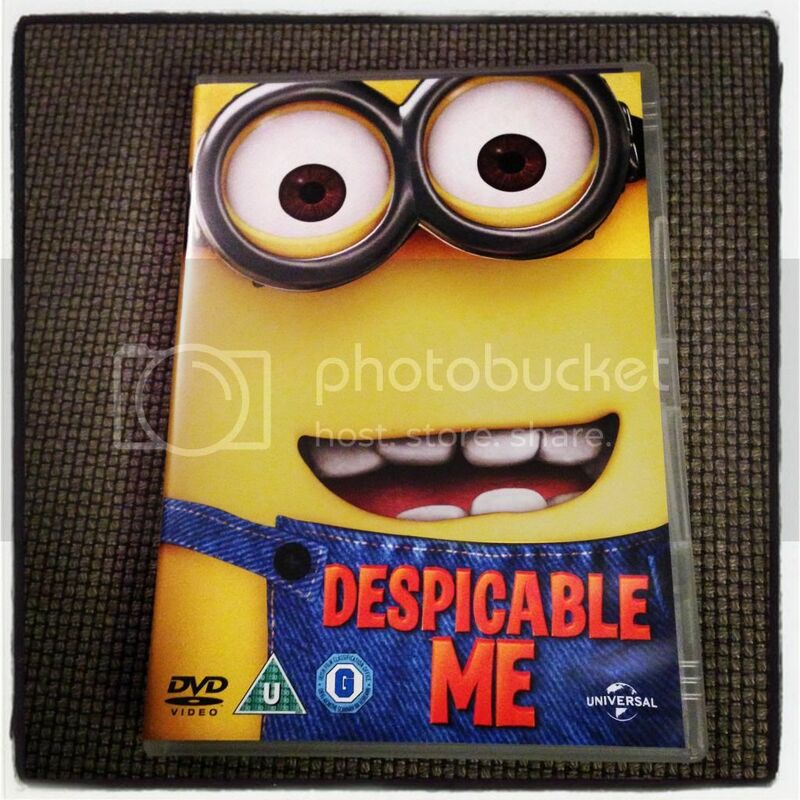 Despicable Me - Yes I've finally watched this film, (about time I hear you all shout and I agree)! It's really brilliant - hilarious, heart-warming and super cute in equal measures. Now I just need to get my hand on the second one, maybe it'll be on Netflix soon. Who knows. My new trainers - I bought new super snazzy trainers (as mentioned here) and they are amazing. I love them and feel super sporty when wearing them -ridiculous I know! 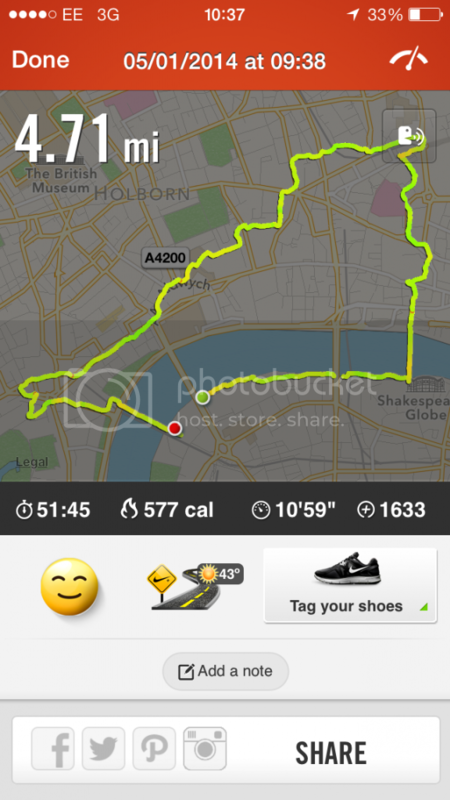 Also they resulted in my best run for a while (okay truthfully in FOREVER) last weekend - hooray! These Red Velvet Brookies from Something Swanky - what a genius idea I must make some. I also NEED to try making my own oatmeal - some of the flavour combos mentioned by Emma sound divine! In the world of savoury, I'm thinking 10 Minute Lemon Pepper Shrimp is my sort of recipe as is Betsy's Cheater's Chicken Pot Pie - the clue was the word cheater's - anything that's made easier automatically gets my vote!!! On the craft front I want to try making some of my own teacup candles as per Cathy's blog post here. Also I'm in the throes of creating a better picture wall in my lovely flat, so I of course want all of the prints mentioned in I Spy DIY post here (especially the one on the top right). I've also enjoyed a lot of the resolution posts I've seen recently, especially Lau's list of things in her personal and blogging life, Belinda's plan to love bigger in 2014 and Rosie's Change in 2014 and beyond post - so beautifully written. Finally I'm also in complete agreement with the below recent Just Little Things post, but that's a post for another day.